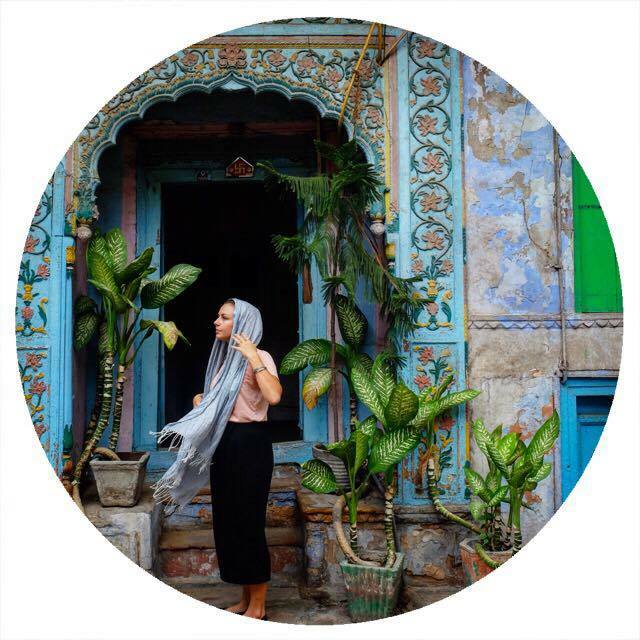 Start your adventure off right, by staying in the best hostel in town… and possibly the only hostel in town? Poc Na is renowned for its incredible atmosphere and good vibes. 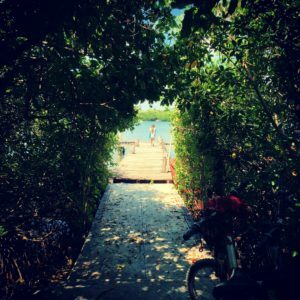 While most places in Central America it is best to book when you arrive for cheaper prices, Poc Na gets very busy so I would recommend booking in advance to ensure your stay. This place is central, includes breakfast, and is where all the young cool kids hang out. Start a volleyball team, take a meditation or yoga class, or my personal favourite, an aerial silks class! The classes are usually run by hostel workers who run activities in exchange for accommodation. So grab a hammock, and grab a beer and get ready to chill out. Oh Mexico. You know how to do food. The main walking strip has plenty of restaurants with extensive menus you can browse. Pita Amore is an amazing little hole-in-the-wall type restaurant which does (you guessed it) pita’s! But don’t be fooled by this little business. These guys know how to make good food. Definitely head here if you want a delicious, big portioned meal for cheap! The owner was a super awesome guy too. If you are willing to spend a little more, Olivia’s is the way to go. The atmosphere is absolutely beautifully created by tables nestled between lush greenery. Their Mediterranean inspired foods will fill your hunger if you are willing to shell out a little more than your usual travelers budget. Poc Na has an extensive menu at a very reasonable price, we ended up eating here often due to the convenience and everything being so cheap and delicious. Head to the Soggy Peso for a nice afternoon drink because, well because it is called the Soggy Peso and they deserve business just for the awesome name. But also because you can lounge around and drink cocktails there. Tres Mentiras is probably the cutest little bar on Isla Mujeres. Colourful and often playing host to various musicians, you are sure to have a good time while enjoying a nice cold craft beer brewed right here on Isla Mujeres! I believe this is one of the few bars you can try it. Head to the hole in the wall that is Tiny’s Bar for another drink and a boogie with some of the locals. You’ll probably have to squeeze yourself in and fight for a stool, but write your name on the wall and have a little fun. Poc Na opens its beach bar at 11pm, so you might as well take advantage of that, especially if you are staying there (a drunken walk is a lot easier the closer to your bed you are!). Remember to re-hydrate after a night of drinking (plus, the heat doesn’t help!) and make the most of the locals on the street selling coconuts and fresh fruit! Perfect for a hangover. Just wandering around the island will amaze you. 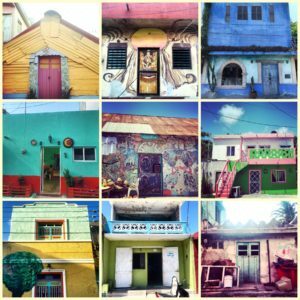 The amazing styles of colourful and vibrant houses that cover the island are absolutely breathtaking. Photographers have fun finding incredible shots! The Underwater Museum off the coast of Isla Mujeres was definitely a massive highlight for me. Book a tour through any of the street providers or straight through Poc Na and don your snorkel as you jump into the crystal clear island waters! On Manchones reef, 8 metres under the waters surface lies the underwater museum. Made up of various galleries, this art installation is constantly evolving as the coral and natural ocean wildlife interact with it. Many of the sculptures represents various problems in society, from the ‘banker’ burying his head in the sand, to the bombs, lying on the ocean floor. The underwater museum was unlike anything I’ve ever seen before, and something that I often think about. After the museum we traveled to a different part of the reef where we could explore more coral and marine life, including a very small shark! Those of you who prefer to scuba dive, you can also scuba closer to the sculptures however it is much more costly. Of course my underwater camera died the day I visited the museum, so here are some images. Renting a Bike is always a great option to explore an island. There are plenty of bike renters who will give you a good deal for a few hours or whole days of cycling. I thoroughly enjoyed cycling away from the tourist end of the island to where to locals live, breathing in all the colourful houses and lush greenery. Just remember to watch the road and don’t get hit by any oncoming traffic. 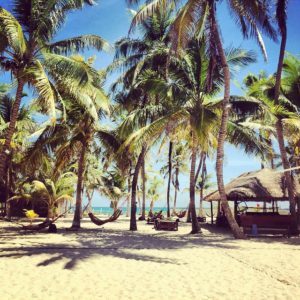 Playa Norte is the beach you want to head to for relaxing and enjoying the sun. There are plenty of beach bars and cafes along here. Usually if you purchase a drink at one of them you have use of their day beds. The water is incredibly calm and shallow for ages which makes it perfect for getting in and just floating around with a drink! 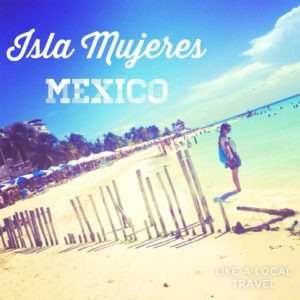 Photos of Isla Mujeres by Ashley Nissen, find out more about her adventures here .